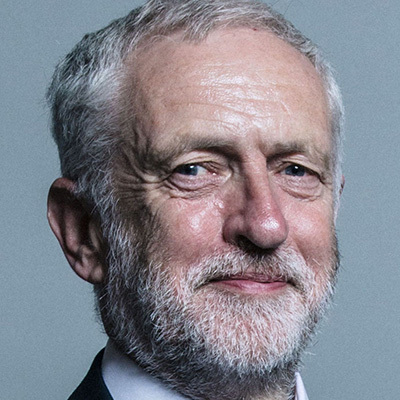 Since their first majority government in 1924, the Labour party has been an important and powerful force in the UK, rooted in advocacy for the working class. Along with the Conservative party, it is one of the two main political parties in Parliament. Its policies are comparable to those of the Democratic party in the United States. WWI led to the collapse of the Liberal Party, creating the opportunity for the Labour Party to gain some traction and support. 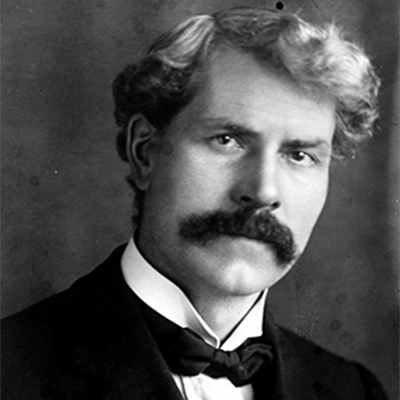 In 1924, the first Labour government was formed under Ramsay MacDonald, though it was short-lived. The Labour Party struggled through the 30’s until Winston Churchill invited the party to join his government as part of a wartime coalition from 1940-1945. 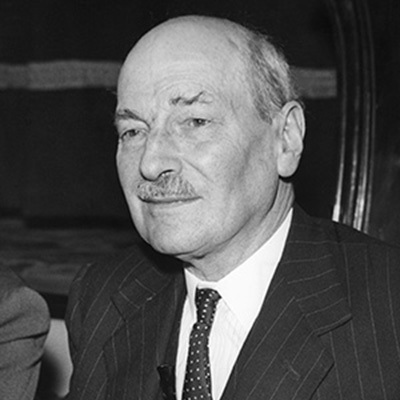 After the war, the Labour Party won the 1945 General Election (GE) and Clement Atlee became Prime Minister. This notably led to the creation of the British welfare state and the establishment of the NHS (National Health Service). The Labour Party was in power under Howard Wilson, prompting many liberal reforms, such as: legalization of divorce, homosexuality, and abortion, and an end to capital punishment. This decade was a very difficult time for the Labour Party. 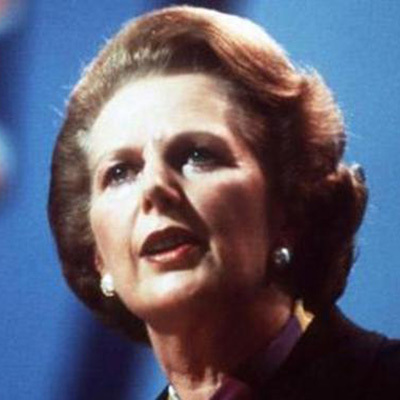 Due to pushback against the liberal progress of the 60’s, as well as economic crisis throughout the country, the Conservative Party returned to power under Margaret Thatcher in 1979. Meanwhile, the United States was about to see a similar story in the transition from Jimmy Carter to Ronald Reagan. Both the Democratic and Labour parties would struggle to gain power in their respective countries until the mid 90’s. 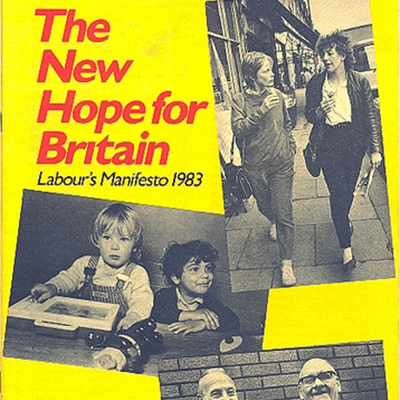 A booklet titled A New Hope for Britain was published in 1983 as the Labour Party’s election manifesto. The booklet called for more fervent socialist values: nuclear disarmament, higher taxes on the rich, withdrawal from the EEC (European Economic Community), etc. These beliefs were far too radical for many voters who had previously supported the Labour Party. The 1983 GE was a major loss for the party, with a Conservative majority of 144. This cemented the understanding that the Labour Party needed to evolve. So in 1986, they abandoned the red flag (a symbol of socialism and revolution) and adopted the red rose (a more neutral symbol of social democracy). The New Labour adjustments allowed for the Labour victory in the 1997 GE. 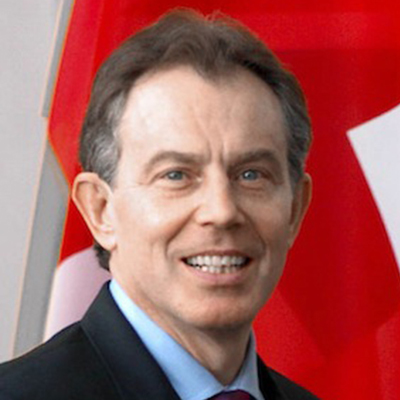 Tony Blair became Prime Minister and the party won two subsequent elections under him. But in 2003, New Labour began to break down. Tony Blair’s approval ratings suffered after he supported George W. Bush’s foreign policy and the invasions of Afghanistan (2001) and Iraq (2003); many began to view him as Bush’s “lapdog.” In 2007, he resigned as Prime Minister and was replaced by Gordon Brown. New Labour lasted until the party lost the 2010 GE. Brown resigned and Ed Miliband became the new party leader, shifting the policies back toward the left. The 2015 GE resulted in the lowest seat tally for the Labour Party since 1987. Ed Miliband resigned as Party Leader and was replaced by Jeremy Corbyn. On June 23, 2016, the UK narrowly voted to leave the European Union ("Brexit"). After this vote, Prime Minister David Cameron resigned and was replaced by Theresa May, who began a two year countdown for the UK to negotiate their relationship with the rest of Europe before their full EU departure on March 29, 2019. Labour of Love begins and ends on the night of the snap election of 2017. 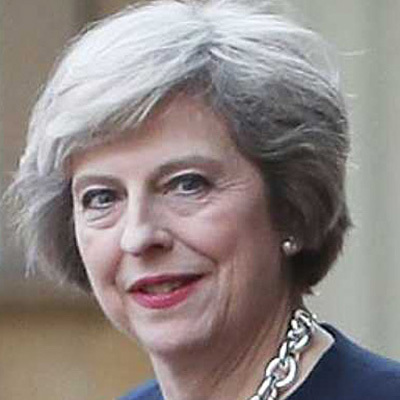 Theresa May called for an off-year General Election, expecting to increase the number of Conservative seats in the wake of the Brexit vote. But the Labour Party actually made a net gain of 30 seats, resulting in a hung parliament, with no party holding an absolute majority. • An economy that is fair for all and does not favor certain individuals over others; a closing of the wealth gap. • Creation of the National Education Service (NES) — a proposed government body that promotes lifelong learning that is free at the point of use. • Support of the National Health Service (NHS) — making healthcare more accessible and creating more free childcare. This includes primary care, social care, and mental health. • Commitment to building thousands of new homes that are affordable and well-insulated. Unlike the United States, where the executive branch is elected separately from the legislative branch, the United Kingdom is a Parliamentary Democracy: the party that wins the greatest number of seats in the House of Commons forms the government, and the leader of that party becomes the Prime Minister. Since the 1920s, the majority party in Parliament has either been the Conservative (Tory) Party on the right, or the Labour Party on the left. Though the Conservative Party platform is similar to the Republican platform in the U.S., the color for Conservatives is blue, and for Labour it’s red. Parliament is the legislative body of the UK’s government, with an upper house (the House of Lords) and a lower house (the House of Commons). The House of Lords is composed of inherited and appointed peers of the realm, while the House of Commons is made up of 650 representatives, known as members of Parliament (MPs). While the House of Lords has the power to delay actions, it is only the House of Commons which can make and pass laws. Elections are held at least every five years, and the leader of the party with the second-largest representation becomes Leader of the Opposition. They select a team known as the Shadow Cabinet to question and check the work of the Government. Unlike the United States, party membership in the UK is by application, and membership carries an annual fee; only 1% of the UK electorate are party members. Membership entitles the member to vote for local MP candidates and participate in Local Party Councils. This means local MP candidates are selected by an even smaller proportion of the electorate than in the US. MPs are expected to respect the wishes of the Local Party Council and can come to grief if they buck its wishes. Though it rarely happens, the Local Council can chose to “deselect” its MP, the way incumbent House Majority Leader Eric Cantor lost the Republican primary in 2014. David Lyons is a Labour MP, representing a coal-mining district in North Nottinghamshire. In 1990, national party leadership considered him a rising star in the party and wanted to get him into Parliament. Knowing the North Nottinghamshire district was a reliably “safe” Labour district, the national party headquarters placed heavy pressure on the local party to nominate him, despite the fact that his personal politics were more centrist than those of the district. Jean Whittaker is David’s constituency agent, a local chief of staff to the MP. Her job is to ensure David doesn’t ignore his local constituents, and to run David’s election campaigns locally. Unlike David, who is a Tony Blair-ite centrist, Jean is a devoted leftist. Her husband Terry, also on the far left, was the MP prior to David. Len Prior is a powerful member of the Local Labour Party Council; he was their choice for the MP candidacy in 1990, but lost to David due to the national party’s influence. His politics, like Jean’s, are far to the left of David’s. Click here for a letter from Dramaturg Katie Ciszek.